Some of today's monitor market completely lack any VESA mount compatibility. This can be frustrating if you wanted to mount your monitor to an arm/bracket.The Non-VESA-Adapter-Kit from Allcam aims to solve this problem. This kit should enable you to mount most Non-VESA computer monitors to a monitor arm/stand/vesa bracket with ease, creating space on your desk, and a more ergonomic setup for your workspace. Kit for adapting your Non-VESA monitor to be used with a VESA mounting bracket. Suitable for VESA mounts with 75x75mm and 100mmx100mm mounting holes. 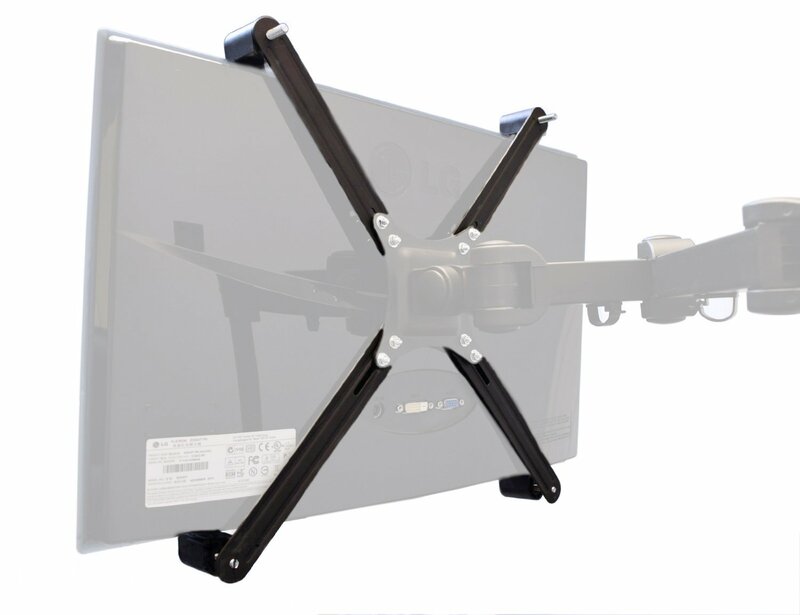 The adapter is suitable for most LCD or LED flat screen, widescreen monitors with thickness between 25mm and 60mm, in other words, most widescreen monitors from 20" to 30" diagonal screen size will fit the bill. 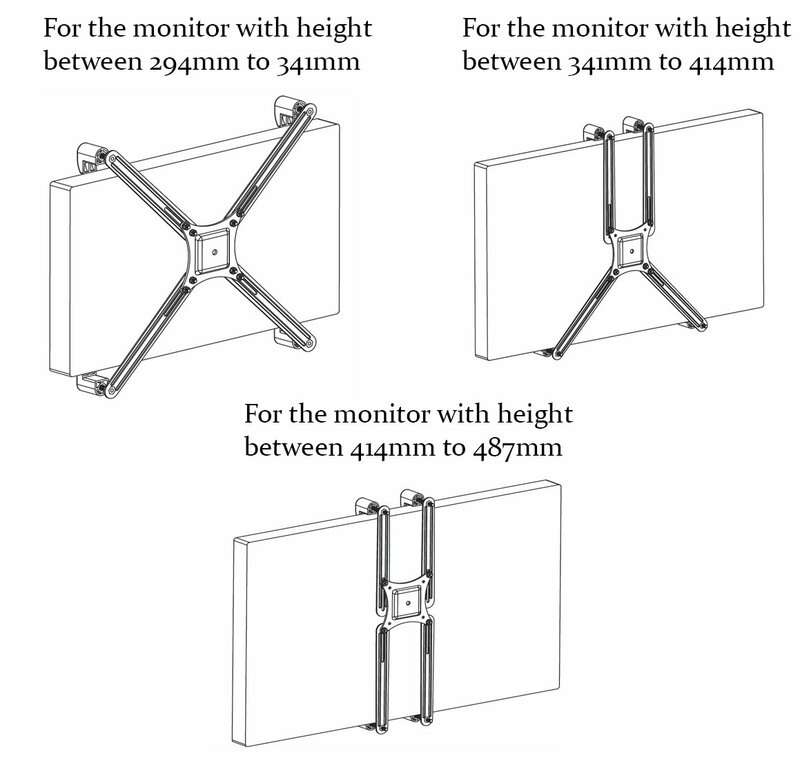 It is also designed to fit any VESA monitor mount with 75x75 and 100x100mm mounting holes. All of our other monitor mounts that we sell would be suitable to use with this kit, so please feel free to check or other mounts to go with your new, stylish and clean setup! Please note: the VESA bracket itself (pictured) is not supplied with this kit, that is part of your own desk / wall mounted monitor mount.